How Do I Know Which Microsoft Surface Model I Have? Because the Surface RT cannot run traditional Windows desktop programs, it’s critical that you create a recovery drive — a USB 4GB (or larger) flash drive containing all the files Windows RT needs to run — just in case the system files are damaged or go missing. The operating system comes pre-installed, so there’s no way to boot an ailing Surface RT from a DVD. 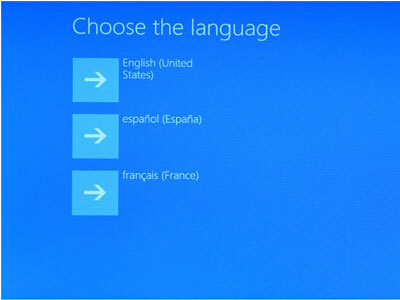 From the Start screen, tap the Desktop tile to open the Windows Desktop. Slide your finger in from the right to fetch the Charms bar and then tap the Settings icon. When the Settings Pane appears, tap the words Control Panel from the pane’s top edge. When the Desktop Control Panel appears, tap the System and Security section and then tap File History. When the File History window appears, tap Recovery in the bottom, left corner. Tap Create a Recovery Drive when the Recovery window appears. The program walks you through inserting a USB flash drive of 4GB or larger into the Surface RT’s lone USB port. 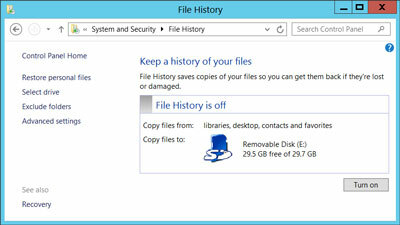 Then it copies the Surface’s recovery partition to the flash drive, creating a recovery drive. Turn off your Surface and then insert the recovery drive into your Surface RT’s USB port. While pressing the Volume Down switch, press and release the Surface RT’s Start button. After a minute or two, the Surface RT wakes up and loads from the USB recovery drive, leaving you at the opening screen. Following these steps will reset your Surface RT to factory conditions, just like the Surface’s Reset command. Use this as a last resort. Hopefully, you’ll never have to use this recovery drive. But if your Surface RT ends up in trouble, the recovery drive just might be the thing that brings it back to life.